After our exciting Weidenfeld-Hoffmann Trust Trump Inaugural Debate, we bring you an account of the evening by WHT Scholar, and the debate’s moderator, Atherton Mutombwera. If you would like to catch up on the evening’s events, a video of the debate can be found here and a video of the Q&A session here. The first though that came to mind after Ilan Manor asked me to moderate the Weidenfeld-Hoffmann Trump Inaugural Debate was “I should have joined the debate club in high school when I had the chance”! Unfortunately, that wasn’t the case and I instead spent too much time on the rugby field, “debating” in other ways. The run up to the debate presented an opportunity for me to catch up on my debating knowledge, as well as the role of the moderator in such engagements. My fellow scholars Ilan Manor and Simukai Chigudu provided such valuable assistance and guidance. When the day of the debate finally arrived, I had the pleasure of spending time with Sir Trevor McDonald who was to chair of the debate. 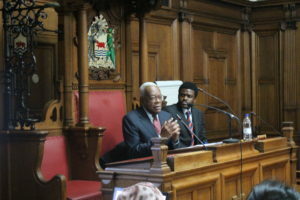 The conversation with Sir Trevor was laden with lessons and learning opportunities, and I was shocked when I realised that time had come for us to walk towards the Oxford Town Hall where the debate was to be held. The town hall was filling up when we arrived, eventually reaching a total of nearly 100 people in the audience, and many more watching the debate via live stream on Facebook. 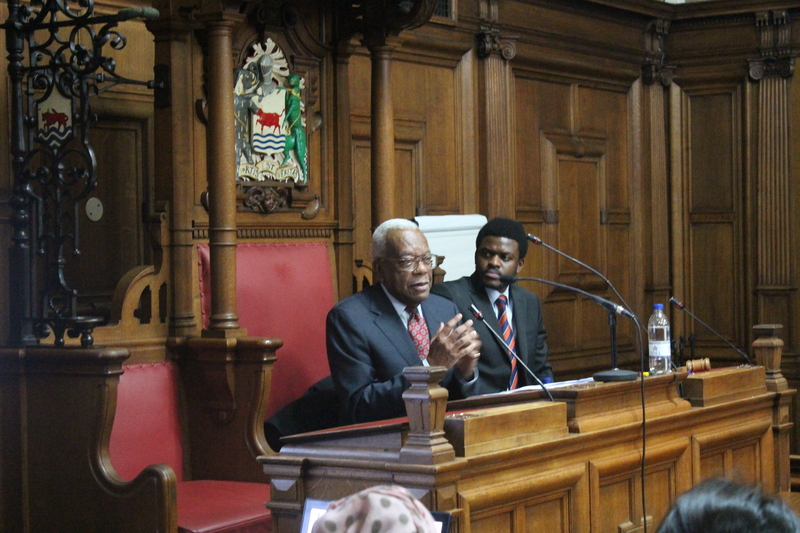 After welcoming people to the debate, I introduced Sir Trevor and handed the proceedings over to him. The motion under consideration was “This house will turn its back on Trump’s America”. The house was given a chance to express its opinion via a twitter poll and 65% of the house voted against the motion. Thereafter the debaters took to the floor and presented their case. Manuel Melendez Sanchez started us off in support of the proposition, calling on the audience to wholeheartedly reject the divisive rhetoric embraced by Trump’s supporters. He was then countered by Abhijay Negi, who appealed to the power of reason to win through in civilised debate. Aban Haq spoke second in favour of the motion, describing the need for world to pointedly disavow Trump’s America as a way ouf countering hate and discriminatory rhetoric everywhere. Payaswini Tailor, speaking for the opposition, countered with the need to stimulate change through engagement. After the first two sets of arguments the house was asked to vote again on the motion. Clearly the Opposition had made their case well, as now 75% of the house was against the motion. While the house voted, the floor was open to questions and comments from the house based on the issues that the debaters had raised. The audience raised questions and comments ranging from the socio-economic background of Trump voters, to the possible causes of the rise of Trump. 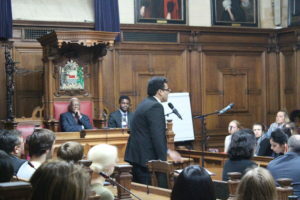 The debaters were given an opportunity to respond to the question, where after the debate resumed. 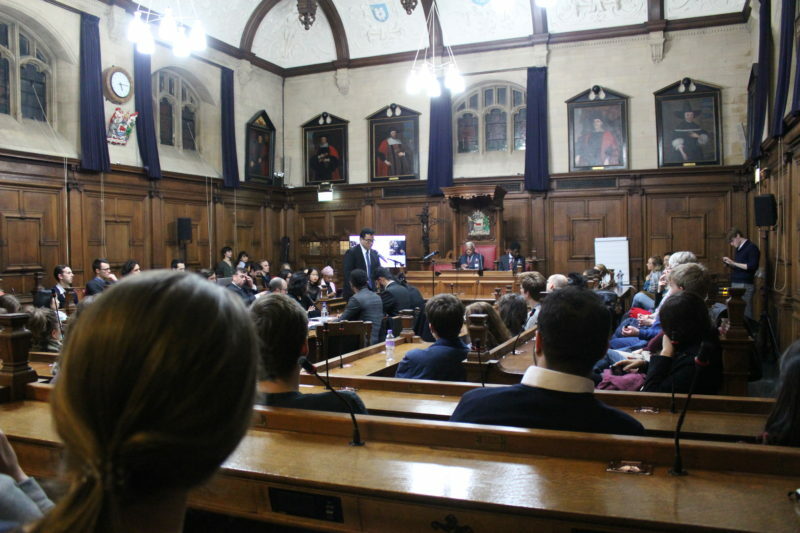 The debate was ably summarised by Ilan Manor of the proposition, who made a stirring appeal to reject hatred from political discourse in all its forms. Finally, the debate closed with the measured words of Ugo Ezeh, who implored us to be alert to the danger of silencing even the most unsavoury political views. The debate came to an end after these final sets of arguments and the house was then asked to vote for the final time, where Opposition prevailed once more, but with a diminished majority at 65%. Following the debate, the audience participated in a Q&A with Sir Trevor McDonald. The Q&A had centred around the new role that the media would play in Trump’s America. Here questions were collected from the house, and Sir Trevor responded. Questions were raised on the integrity of the media when reporting the two US presidential candidates, and their election campaigns. These led to a discussion on new outlets of news and the space that they occupied juxtaposed to the traditional news outlets. The matter of holding the media to a standard, similar to that in the advertising industry was also discussed. Unfortunately, the Q&A session had to come to an end in spite of the house still having more questions for discussion. It was an excellent evening, and much thanks is due to the Weidenfeld-Hoffmann scholars for both debating in and organising the event. 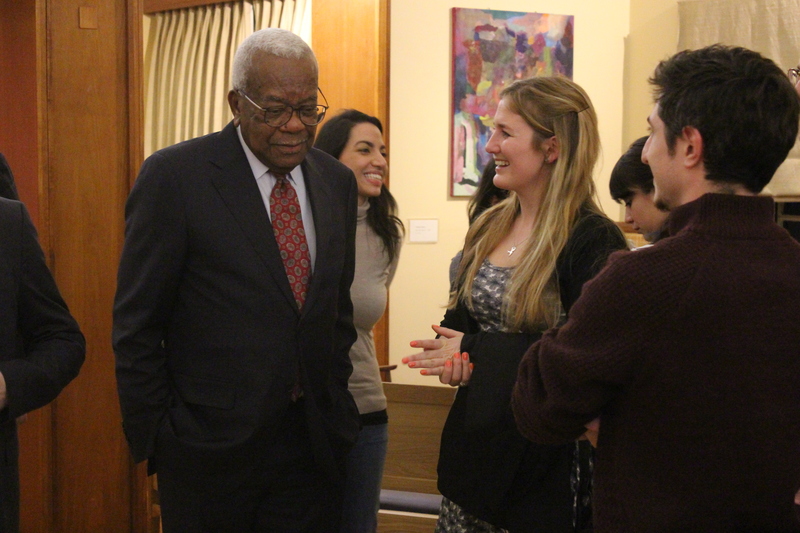 A special thanks should also be reserved for Sir Trevor, whose perceptive wit enlivened the evening. We look forward to hosting more such events in the future. 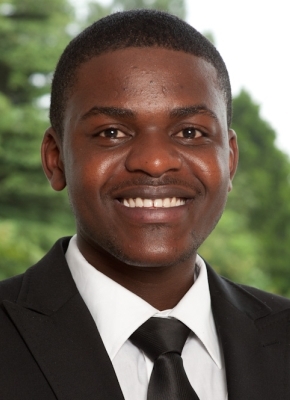 Atherton Mutombwera (MBA, 2016-17) is a Louis Dreyfus-Weidenfeld and Hoffmann Saïd Scholar from Zimbabwe.